Family Fun for March: Green! Picking Green as the theme for March Family Fun is probably a combination of my Irish heritage and my Michigan longing for spring. Last year I did a St. Patrick’s Day post of creative school activities. Many of them could be fun for home, too, so you might want to start there. 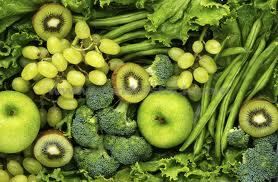 Then continue with green fun for the month. It is a great way to practice the exploring, observing, and wondering that are essential parts of problem finding. 1. There are so many shades of green. If you live in a place where plants are growing, look around to see them. If your surroundings are Michigan March gray, take a walk up and down the produce aisle, just looking at the colors. Consider using some to make a centerpiece using as many shades of green as possible—then experiment with some new foods. 2. Or take a trip to a hardware store and look at the paint chips. Examine the different colors and notice the exotic names. Then go home and mix as many shades of green paint as you can, inventing unique names for each one. Leprechaun sneaker green, anyone? How about a shade called kale smoothie? 3. Speaking of Leprechauns, did you know there is a National Leprechaun Museum in Dublin? If you can’t manage a trip to Dublin, consider creating a Leprechaun Museum at home. Think about what you could display. Perhaps you could create artifacts for the rare female leprechauns, or coins from a magic pot of gold. Or if you’d like something more original, think about what kinds of magic little people might live in your neighborhood—creatures of snow or sand or even water. They would surely need a museum of their own, or a book about their escapades. 4. You can’t have a month devoted to green without Green Eggs and Ham. Start with the classic book or video, and then invent some new pages. Surely there are some other ways you would-or would not—eat green eggs and ham. “I would not eat them with a bug. 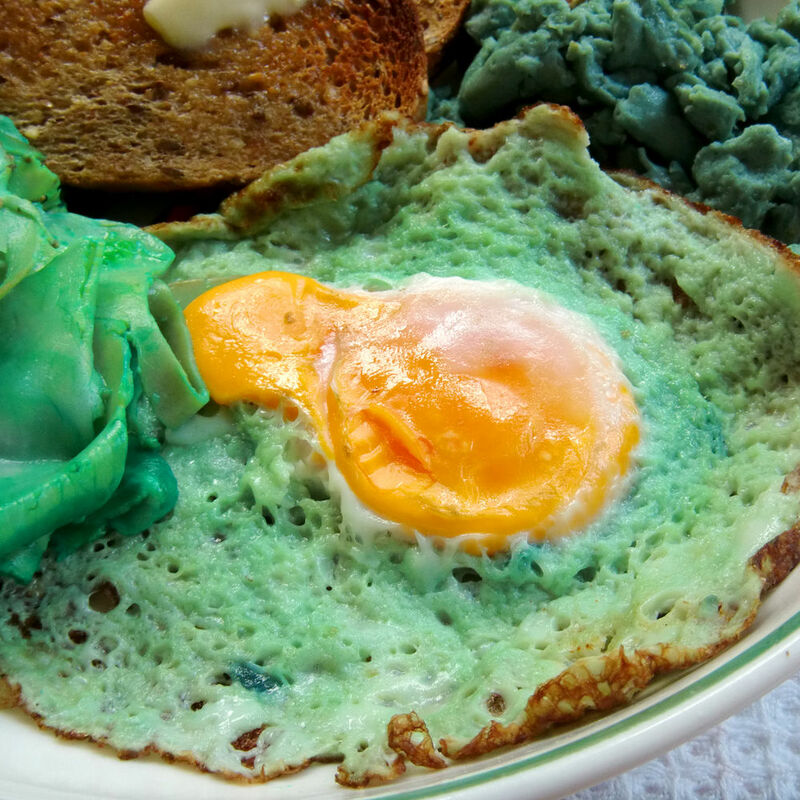 I would not eat them with a slug,” or “And I would eat them in the grass, and I would drink them from a glass.” And, of course, St. Patrick’s Day is the perfect day to start with a green eggs breakfast. There are a number of options for making green eggs without lots of food dye. I especially like this one because you can watch purple cabbage juice turn green. But these basil green eggs sound pretty tasty! 5. Make something that is green and green. 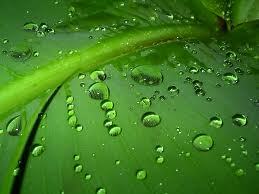 That is, reuse, recycle or upcycle something to create an environmentally friendly item that is colored green. Grow an herb garden in old bottles, make a tiny bed from a mint tin (of course yours would be green), or anything else you can spy on the many upcycling web pages. If you’d like to really celebrate the wearing of the green, get out your green permanent markers or acrylic paint, along with your old sneakers, and go to town. 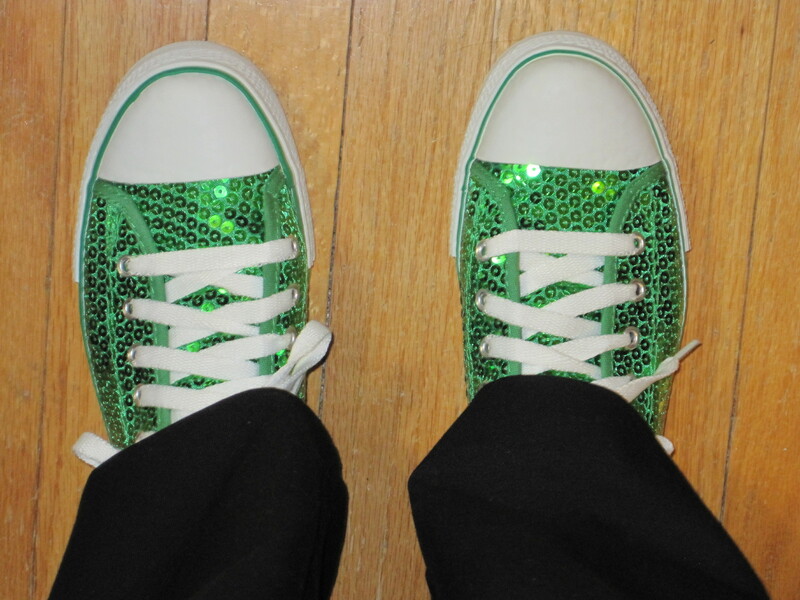 Or with older children, go for the glitter—you are only green once!